As with many sports injuries, over coming plantar fasciitis requires time and strong support. One of the most common foot injuries, plantar fasciitis is associated to activities that requires a great deal of running: football, soccer, basketball, running, triathlon. 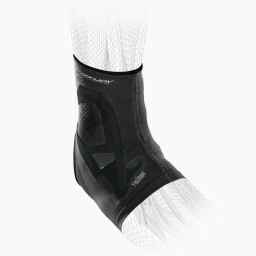 While running technique and proper footwear help prevent plantar fasciitis, a brace that delivers compression and stability speeds up recovery and prevents re-injury—keeping you in the game with the confidence you need to stay healthy and strong.